He's an icon of Australia music and whether he's playing everything from the Didgeridoo to a Harmonica, or even an Aztec Organette, Xavier Rudd delievers continuously. 2015 is the year he returns in mighty style, this time with his new band The United Nations. The release of their latest track 'Come People' comes with the announcement of a new album titled 'Nanna'. 'Come People' provides an amazing introduction to what fans can expect from their upcoming release. 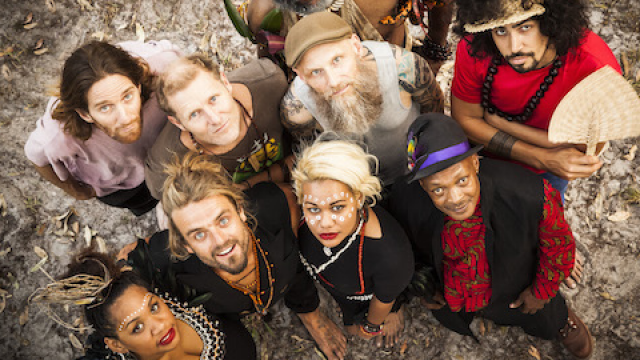 Containing various decent including Indigenous Australian, Samoan, Paupa New Guinea, South African, and German backgrounds, The United Nations will be joining Xavier in shows celebrating the release of the collaboration album. To get you pumped up for the release and the tour dates, check out the sounds of Xavier Rudd below.